Over the past years, there has been some interest about Agile software development growing amongst belgian universities. Some belgian agilists have given lectures or organized workshops all over Belgium. Almost three years ago, with the guys from the AgileCampusTour we went to the University of Louvain-la-Neuve to give our first sessions. We received great feedback and planted a few Agile seeds here and there. This semester, something changed. One of the professors from the computer science departement (INGI), Prof. Yves Deville, contacted me to help them bootstrap their very first Agile project. The context is quite simple: 60 students will form teams of 4 and work on an android application of their choice. They will have to come up with an original idea and implement it following an Agile approach. – No room dedicated for each team, just a big room for all 15 teams. – Students with few to no testing experience. – Precise project educational objectives. – Same process for all teams (to avoid group discrimination). We had to take a pragmatic approach to those constraints and we came to the conclusion there were so many things we could cover and teach students that we needed to focus on a few of them in order to not overwhelm them with too much information. – Each group receives and Android tablet. 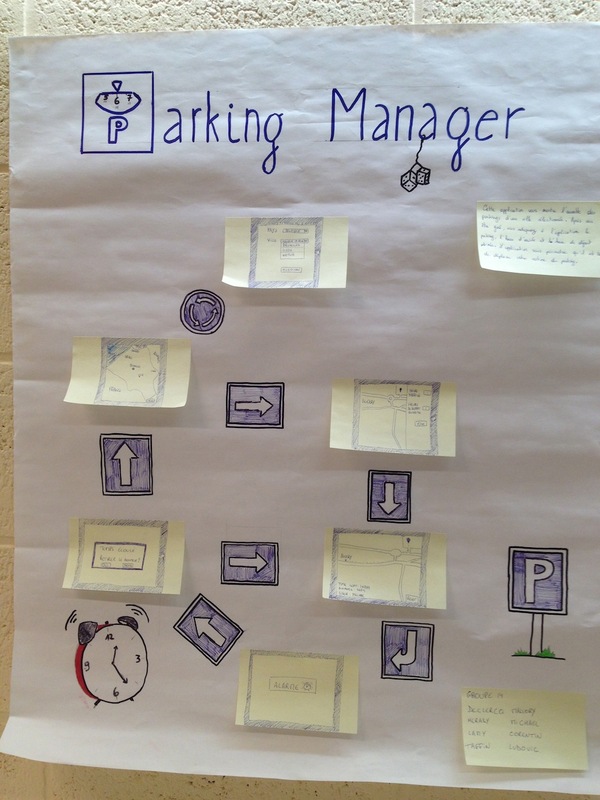 – Students are asked to come up with three application ideas using a “poster” format. – Prof. Yves Deville and his assistants will vote for the best idea. 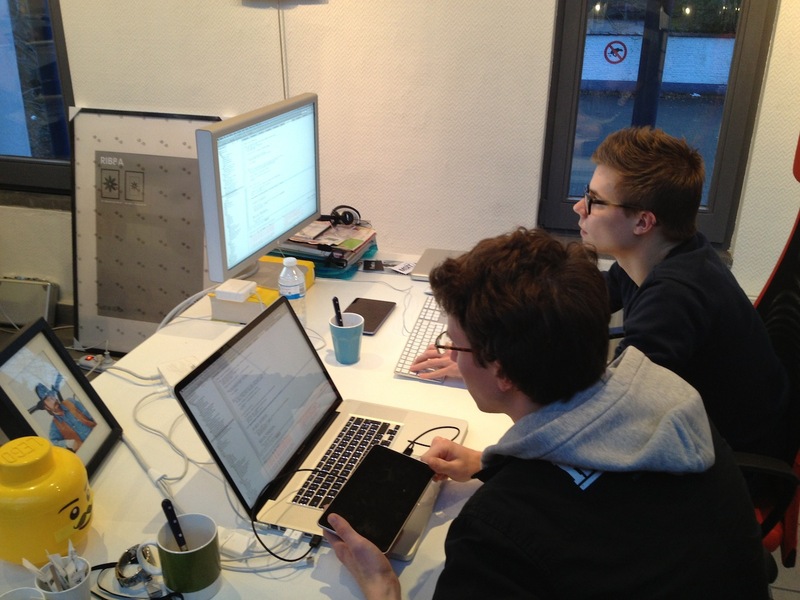 – Students work in two weeks iterations. – Planning is done using Planning Poker and post-its. – Pair Programming is strongly recommended. 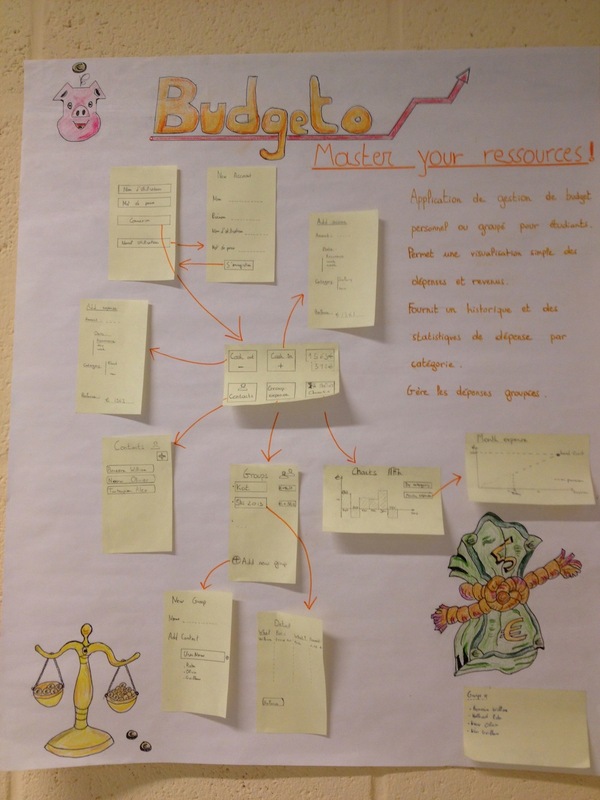 – Students use Trello to visualise their work in progress. – A Jenkins automated build gives them insights about coding and android guidelines. – Another Jenkins build packages their application and sends it to Appaloosa, a private store from Octo Technology. – The private store is available to every group, meaning that every group can test any other groups application. – After each sprint, each team makes a demo of the finished work to Prof. Yves Deville playing the customer. 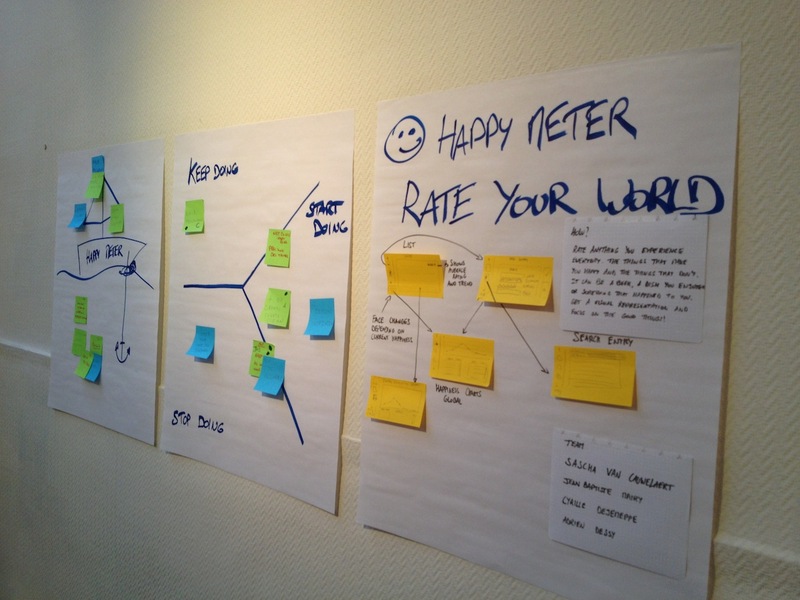 – After the demo, each team participates in a retrospective to see if they can improve the way they work. We plan to organize an Agile Belgium user group meeting in April in Louvain-la-Neuve so that the most advanced groups can show you their progress if you are interested. The date is still to be determined but expect something right before or after the easter holidays. Stay tuned. We’d like to thank Agilar for their great advices and Planning Poker cards and Octo Technology for giving the university unlimited access to their private store platform. I’ll keep you posted on their progress if anything happens.